Drug company consultant, rotavirus vaccine patent holder and vaccine policymaker Paul Offit is calling for an end to exemptions to vaccination unless approved by a medical doctor or government health official. 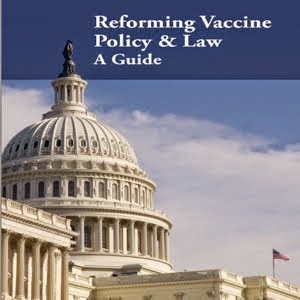 He argues that the unvaccinated place themselves and others at risk for catching and transmitting infectious diseases and, therefore, government should force citizens to purchase and use vaccines without exception. Although Offit admits this authoritarian approach to disease control “tears at the very heart of a country founded on the basis of individual rights and freedoms,” he takes out the sword and urges the slicing begin. 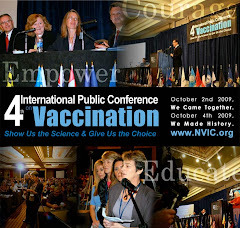 An argument can be made on scientific grounds that the voluntarily vaccinated should have nothing to fear from the voluntarily unvaccinated if vaccines protect individuals from contracting infectious diseases. However, a more compelling argument can be made for the human right to informed consent to medical procedures, such as vaccination, which carry a risk of injury or death. This is particularly relevant when mass vaccination policies do not identify individuals, who are biologically vulnerable to vaccine-induced serious health problems, as has been demonstrated by the more than $1 billion already awarded to vaccine victims under the National Childhood Vaccine Injury Act of 1986. Offit’s flawed analogy comparing no-exception vaccine laws with no-exception laws requiring citizens to buckle a baby in a car seat, to refrain from lighting up in a restaurant and to put on the brakes at stop signs, fails to appreciate that obeying those laws do not require individuals to risk their health or their lives. Even the military draft in times of war allows exemptions for religious and conscientious belief reasons. Offit and other pro-forced vaccination proponents have various motivations for their totalitarian stance. However, what appears to unite them is a disdain for the intelligence of the average American and an uncontrollable desire to tell other people what to do. Elitism is alive and well in America and it haunts the corridors of major academic and medical institutions, where those who practice it receive lots of tangible encouragement and support from industry and government. The average American struggling to be free to make informed, independent choices about health care, including vaccination, is being manipulated by elitists seeking to limit both the information and choices available. The first step to breaking the chains that bind us to elitists in control of health policy is to understand what they believe and want. Paul Offit is making that clear. I spoke to Paul Offit about a year ago. I had no idea he was as high-profile in this debate as he is. My impression from him matches the description of him in the post exactly: "Offit and other pro-forced vaccination proponents have various motivations for their totalitarian stance. However, what appears to unite them is a disdain for the intelligence of the average American and an uncontrollable desire to tell other people what to do." My attempts to have him engage my actual question was fruitless, since he would not stop treating me as just another ignorant anti-vaccine parent. Our son has celiac disease and my question was whether having such an auto-immune disorder makes him more vulnerable to vaccine reaction. I was not approaching the issue from the angle of stating that vaccines and vaccine reactions _cause_ autism, per se, but whether a pre-existing health condition would significantly increase a child's chances of vaccine reaction. Well if the other students are vaccinated then they should have nothing to worry about should they? If the government and pro-vaccinations people are so worry about contagious diseases, why are they so worried that their vaccinated kids could die from the diseases. Maybe the vaccinations don't work as they should all the time? Maybe they can just stick to shotting up their own kid and keep their needles of ours!